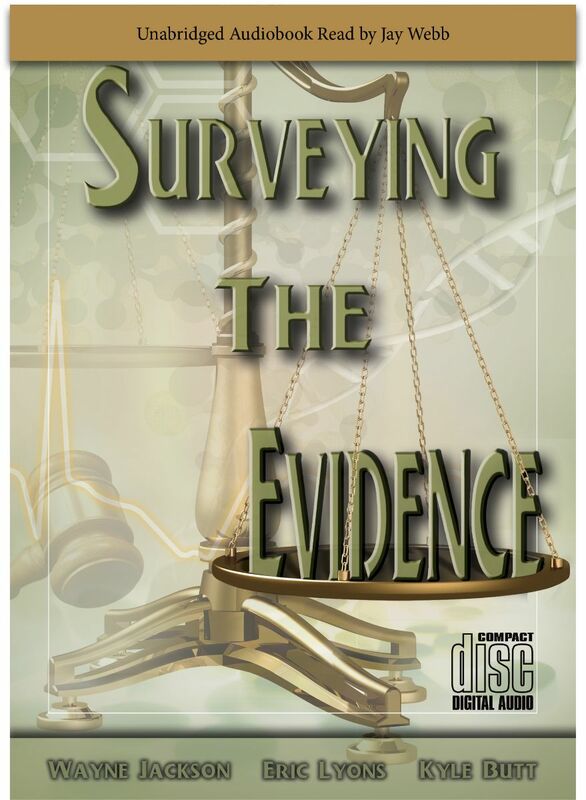 Five years ago, Apologetics Press released what has become our flagship Christian Evidences book: Surveying the Evidence. This volume reviews the evidence for the truthfulness of the Christian religion. It presents proof for the existence of God and Creation—evidence that refutes atheism and evolution; it includes valuable information on dinosaurs and the age of the Earth; it offers facts that undergird the Bible’s inspiration, uniqueness, and reliability; it provides evidence for the historicity and deity of Christ; and it even includes material on God’s great plan to save man. Designed to assist the non-Christian who is in search of the Truth, the volume also prepares a Christian to teach others the facts that set Christianity apart from all other religions. We are now extremely delighted to be able to offer to the public this outstanding resource in the format of an audio book. Read by professional narrator Jay Webb, the entire book—13 chapters accompanied by thought-provoking questions—is now available for purchase on five CDs or for downloading to your electronic device. Simply go to the A.P. Web site, click on “Store” in the left hand column, then click on “Audio Books,” and follow the directions for downloading Surveying the Evidence. Additional audio books will be forthcoming from Apologetics Press, and will be announced in this publication as they are made available. Check our Web site for updates on these products as well.